Exploit All In One SEO Plugin in 5 Easy Steps Exploit All In One SEO Plugin in 5 Easy Steps – MillionClues! The All-In-One SEO Plugin is one of the most popular plugins ever made for WordPress. And if you don’t have it, stop reading this, GO GET IT, because you are the only one who doesn’t have it yet! The All in One SEO Pack is your virtual Search Engine Optimizer. 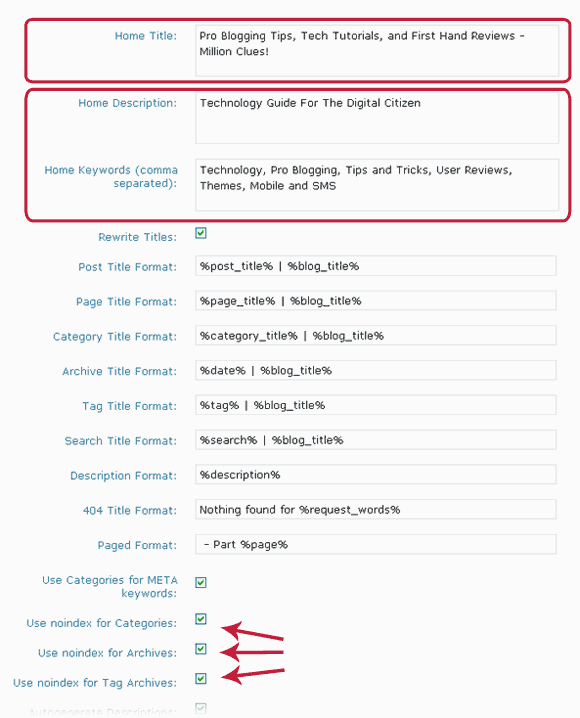 It does all the dirty jobs of adding Meta tags, the Title tag, adding Meta keywords, adding post Description, avoiding indexing of duplicate pages (like Archives and Category pages) and other SEO stuffs that a normal blogger won’t like doing. And the best part; it’s all automated. If you are not too much concerned about SEO, then you may not have tweaked the plugin, even though you already have it installed. The default installation is powerful enough, but it gets better with some extra tweaks. Exploiting something is so much fun! The SEO plugin consists of two parts: Plugin Options Page, and a widget on the Post Editor. See the screenshots below and you will get an idea of what each page is meant to be. If you haven’t done anything yet to these pages, its time to start doing something now. The Homepage title is the one line description of your blog; it need not be the same as the name of your blog. Tell the visitors what your blog is all about here. Include the keywords that would bring you traffic over a long period of time. And keep it short; don’t make it longer than 70 characters. This Title Appears on the Search Results and on the Browser Window when you are on the homepage. The Homepage Title is for the readers, but the Description and the Keywords are for the Search Engines. Describe your Blog to the Search Engines and most importantly, add the most popular keywords on your site to the Keywords Section. Adding too many keywords lessens the keyword weight of each keyword, so include only the most important ones here. These are the keywords that go into the Meta keywords tag of the html of the page. It is said that Google no longer uses Meta keywords, anyhow, other Search Engines uses still uses them. Enter the keywords from the post here. If you do Keyword research, then this is the right place to enter the suggested keywords. The SEO plugin is a quick solution to all your SEO needs. It’s a must have for every WordPress blog. Thanks to Anand and Girish for contributing ideas to this article. When Canonical URLs were introduced, a new check-box was added in the settings page, just above “Rewrite Titles”. Keep that check-box titled “Canonical URLs” ticked. Keep up the great work , you had given a vry different views to very common plugin like all in one SEO. Though All in One SEO is very common, I know some people who seldom use it, this is for them and for all the newbies. I am using it in all my blogs, quite useful and easy to learn,some themes do not show the meta tags. Well, all themes are not search engine optimized. and themes have a good part in SEO. Choose themes with right sidebars for better SEO. This is because if sidebars are on the left, the Google bot will index the sidebar first, which is not good. The content should go first in. Nice tutorial for those who are new to WordPress or SEO. This guide was meant for beginners who just install All in One SEO just because they read about it somewhere. You are a pro Blogger yourself and you are already on the right track. Good luck dude! 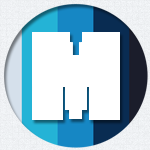 I came to know that this is a really nice plugin. It would revolutionize blogging if it was available for blogspot blogs too.! One of the worthy posts I ever read ! Buddy, is there is a trusted plugin for Optimizing Images for Search Engines ? Or the default system of WP enough ? Everyone feels the same Arun,that why didn’t I start blogging much before and now I’d have been somewhere else.. but as you said everything has a time. Yeah, If I had started only today I would have started on WordPress, then I would never know Blogger, now I know both Blogger and WordPress, so it was worth it.. 🙂 Time plays with us.. But life is awesome. No it doesnt work with BuddyPress. I guess you are talking about the SEO for BuddyPress plugin. I haven’t updated BuddyPress in a long time, just to stay safe. Weird, I thought this was available in the BP downloads section. First off, this post is extremely thorough! I don’t see too many bloggers going into detail like you have…that’s the mark of a blogger who knows their SEO plugin. For optimization, free plugins like All in One SEO Pack are really great as it lays down the basic SEO foundation for a WordPress site, but every blog is different and nothing works best for everyone. I always suggest looking at a side-by-side comparison of the best seo plugins for WordPress in order to make an informed decision of what the best plugin is for that blogger and their website’s specific needs. Great article btw…I’ll be referencing this post on my main blog. 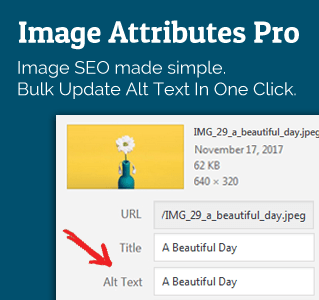 I have gone through your post about All in One SEO Pack. Its very informative. I have one query about the Increasing Character Limit of Title and Meta description. i have check all setting but where should I Increase Character limit of the particular field in ALL in One SEO Pack? plz Suggest me some Solution.